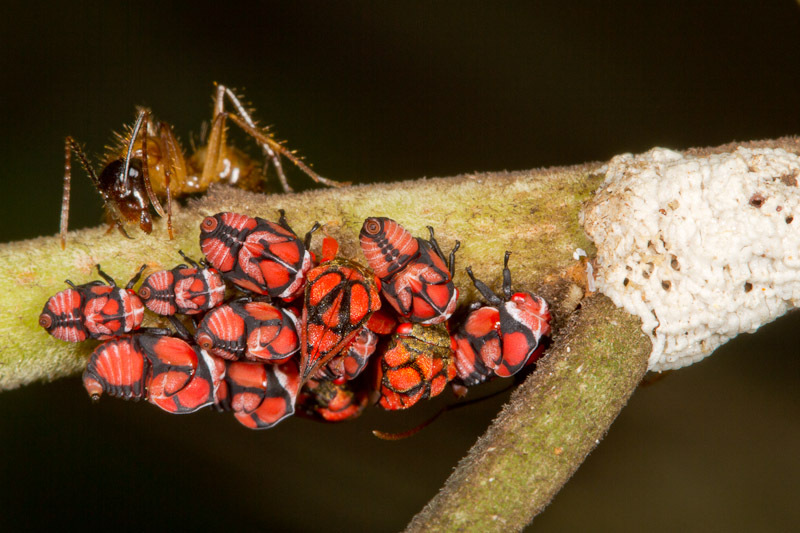 In this next shot, I’m assuming the white areas are either treehopper eggs or a protective covering for the eggs. One of the adult treehoppers is also visible here, a darker shade of red than the nymphs. In this final shot, there are more eggs, another adult and some late instar nymphs. 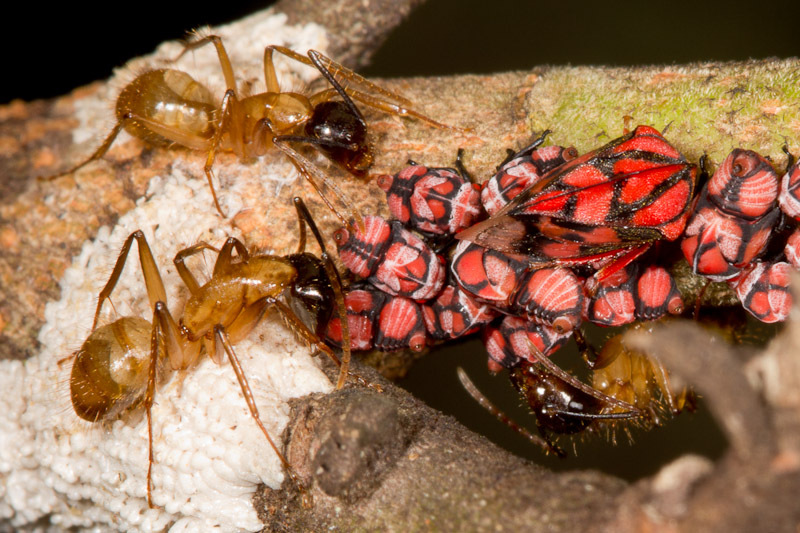 Wow, I’ve never seen that shade of red in a treehopper before. Did you hand-hold the background leaf or pin it to something? I’ve had a hard time figuring out how to secure a false background and still hold the camera steady. I hand-held the leaf. I usually brace my elbow against my body to help steady the camera. It’s still very much hit or miss though. Using just one hand, fatigue sets in pretty quickly trying to support the whole camera setup. 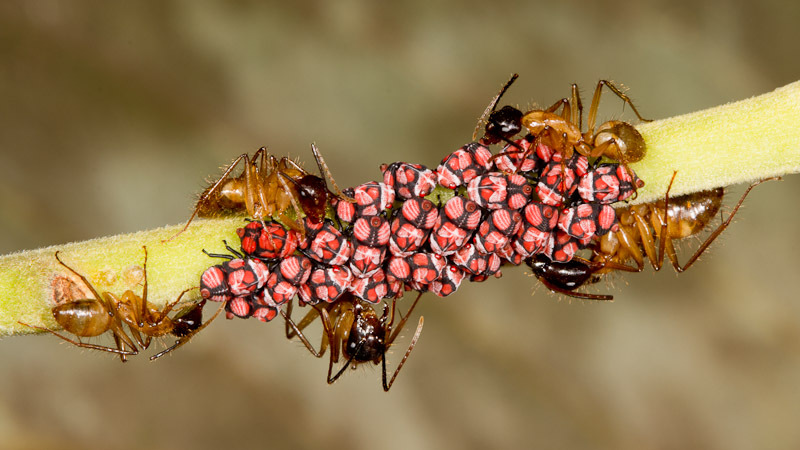 Wow, that’s a colorful treehopper aggregation! !